Situational awareness: Google CEO Sundar Pichai has agreed to testify before Congress and will meet with lawmakers on Friday. In a statement, House Majority Leader Kevin McCarthy said the hearing would be "scheduled later this fall" and hosted by the Judiciary Committee. He'll face questions on a wide range of issues — including bias allegations, privacy and Google's plans for China. Driving the news: In a filing late Monday, Qualcomm seeks to amend a California state breach-of-contract suit, saying that documents provided by Apple support its belief that the company misused company trade secrets. 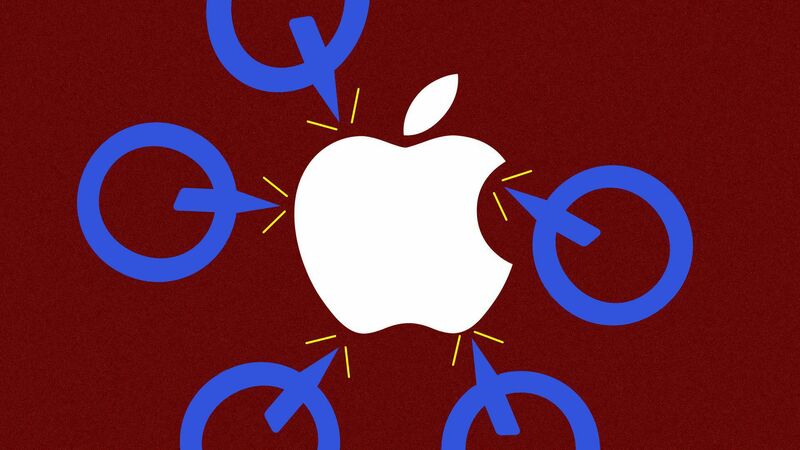 The original breach of contract claim was focused on an allegation that Apple had not allowed Qualcomm to audit the iPhone maker's use of Qualcomm's trade secrets. At the time, Qualcomm suspected that Apple had misused the confidential information — but it had no evidence. Background: Apple used Qualcomm modems exclusively from 2011 through 2016, when it started using a mix of Intel and Qualcomm chips. The latest iPhone models are said to use only Intel modems. Why it matters: The threat of an antitrust investigation of the big tech platforms looms over the proceedings, but it’s unclear what exactly the Department of Justice's plan is for the gathering, Axios' David McCabe reports. The big picture: The states will be discussing “a growing concern that these companies may be hurting competition and intentionally stifling the free exchange of ideas on their platforms,” per a DOJ statement in early September, shortly after President Trump had tweeted about alleged anti-conservative bias at Silicon Valley companies like Google and Facebook. The attorneys general from Maryland, Louisiana, D.C., California, Mississippi, Tennessee, Utah, California and Nebraska as well as representatives of the AG offices in Arkansas, Missouri, Texas, Washington and Arizona. Sessions along with Deputy Attorney General Rod Rosenstein, DOJ antitrust chief Makan Delrahim and acting Associate Attorney General Jesse Panuccio. What’s next: Both the companies and their critics will watch closely to see what — if anything — officials say after the meeting, and whether more aggressive federal or state probes follow. Facebook acquired Instagram for $1 billion in 2012. The photo-sharing app now has more than a billion users. Why it matters: Facebook has succeeded in part by being able to acquire and absorb new social networks on top of its own, and Instagram in particular has looked like Facebook's ace in the hole, even as its original network has faced crises and setbacks around privacy, trust and election security. However, in recent months Facebook has lost top founders from WhatsApp and now Instagram, both of which have been key to the company's efforts to connect with its next generation of users. "It’s not them, it’s Mark: Increasing tensions between instagram and their Facebook overlords is behind the departure, said sources." "Earlier this year, Zuckerberg moved a senior Facebook product executive, Adam Mosseri, over to Instagram in anticipation that the founders might leave, one source said." The Trump Administration has done little to support artificial intelligence research, experts say. Now, the top members of a House subcommittee are calling for a plan to maintain American leadership in AI, Axios' Kaveh Waddell reports. The government hasn’t moved with the urgency the situation requires, Hurd, a Republican from Texas, told Axios. China’s rapid AI rise should shock Congress and the White House into action, they write. The pair of legislators lay out high stakes for failure. "Whoever masters AI will have an outsize role in this world," Hurd said. The nation with the strongest AI program will achieve a more efficient economy and improve decision-making in every industry, and will get to set vital international norms and standards. Disclosure laws that would require notice when AI is mimicking a human — like Google’s Duplex, a virtual assistant that calls up businesses with a natural-sounding voice. Rules over Deepfakes — computer-generated audio, video, and images. Although, he adds these won’t be defanged with government regulations alone, but raising public awareness about their danger is vital. The bottom line: "A completely hands-off approach to technology will lead to problems, just like we've seen in social media," Scharre said. Go deeper: Read Kaveh's full story here. Fortune's Brainstorm Reinvent conference wraps up in Chicago. Livestream here. Salesforce's Dreamforce begins in San Francisco. T-Mobile said it hired former CenturyLink and Level 3 executive Sunit Patel for a new executive role overseeing the company's Sprint merger and integration work. The military's Defense Innovation Unit has named former Quantum and Symantec executive Michael Brown as its managing director. Tile named GoPro COO CJ Prober as its chief executive, adding Comcast as a new investor. You know what's creepier than a stroll through a seasonal Halloween store? A stroll through a seasonal Halloween store that used to be a Babies 'R Us where no one bothered to take down all the old signs.